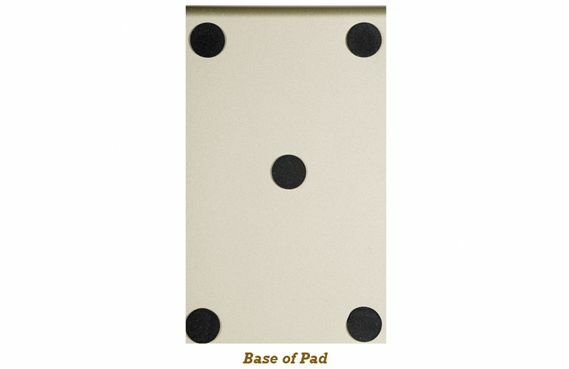 Order your Exaclair Exacompta FAF 4 x 7 Desk Pad today from FahrneysPens.com. Fine Pens, Refills & Luxurious Gifts – great prices & fast shipping. French-made Exacompta products follow the philosophy that even simple tools should be high quality and a pleasure to use. The FAF desk pad by Exaclair(short for 'feuille á feuille') is a practical and highly functional desk pad with a unique vintage look. The FAF is made in Paris in a workshop built by Gustave Eiffel (of eponymous Tower fame). 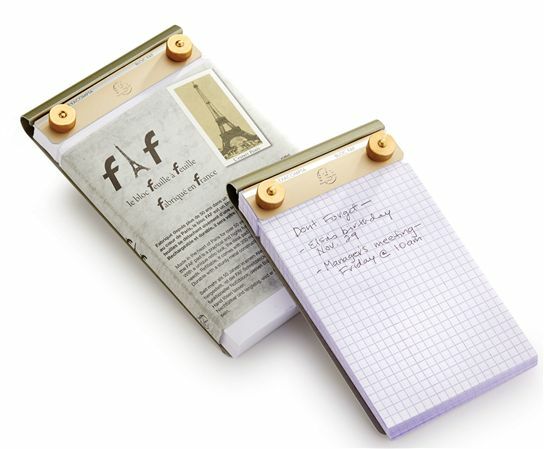 It’s the perfect fit in your home or office for quick notes, lists and memos. 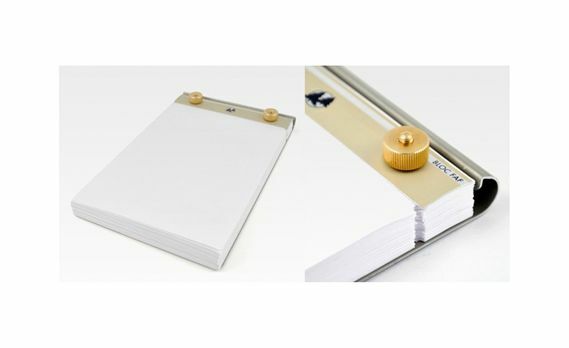 Sturdy metal hardware holds 200 sheets of smooth, bright white 60g paper, micro-perforated for easy removal. Beautiful addition to my desk - I LOVE IT!!!!!! !